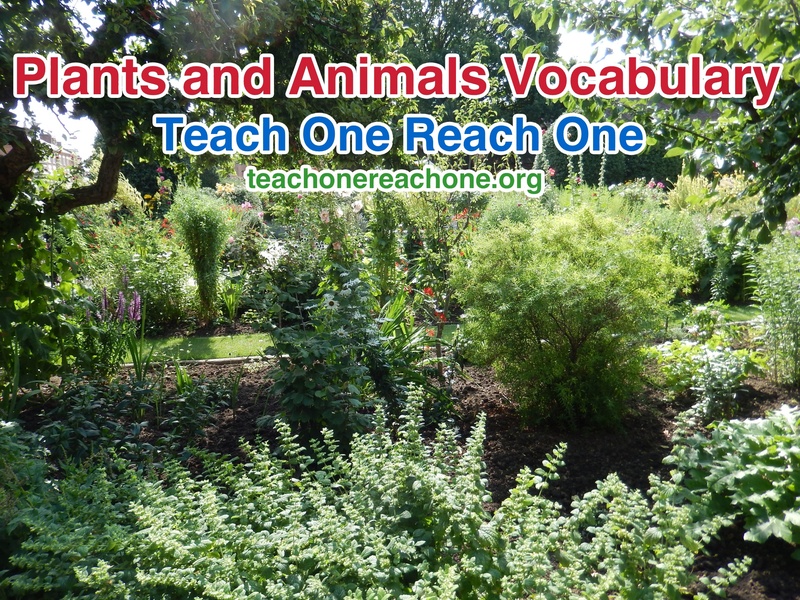 Guiding Question: How many English words can you master for the plants and animals in the world? All $-$$$ Game cards – sets of various plants and animals. One card in each set is a photo and the other is the appropriate written word. ; Cards with plant and animal names written on them. Procedure: Review the story of Creation. Show students various plants and animals to gauge current vocabulary level. If it appears most of the students are struggling, make a life size matching game. Divide the class into teams and have each team work together to match plant and animal photos with the correct written word. Use a timer and give each team 10 seconds or less to make matches. This will prevent teams from getting bored between turns. Start with common plants and animals, gradually adding more unusual ones. If students seem to have some level of mastery, have multiple smaller sets and have the students play matching games in pairs. Then have students create word cards to match the photos they are shown. For animals with multiple breeds (dogs, horses, cows, etc. ), can you name each breed by seeing a photo of an animal in that breed? For plants with multiple varieties (melons, tomatoes, etc. ), can you name each variety when you see it? Supplemental Activity: Take students to a local zoo, aquarium, or botanical garden. Send them on a scavenger hunt for the various plants and/or animals found there.